The residence is located in Fulham, a popular upmarket district of London rich in boutique shops, restaurants, theatres, pubs and a clubs. In addition, there are excellent transport links with both Hammersmith and Barons Court underground station (District and Piccadilly lines) just a short walk away. This is an en-suite studio measuring from around 17m². 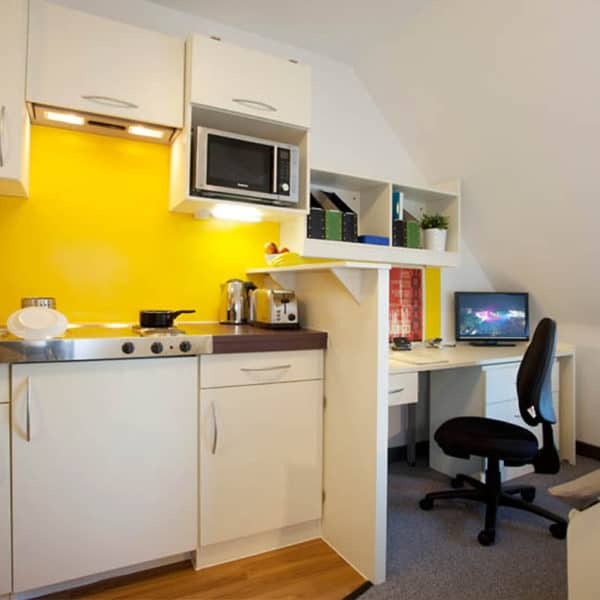 The room has a comfortable double bed, a desk area and private bathroom, as well as a wardrobe and storage space. 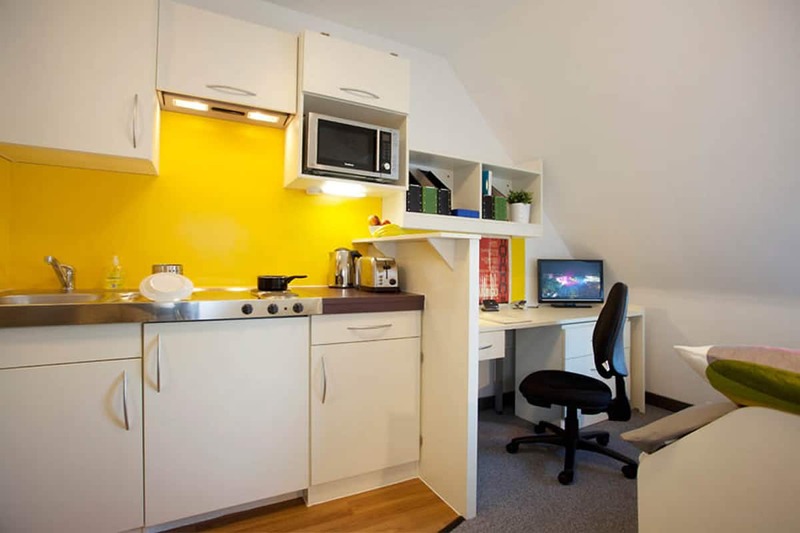 The studio is fully equipped with a private kitchenette.fully equipped with a microwave, cooking hobs and a sink. There is free Wi-Fi in each bedroom and throughout the building. Both single and double occupancy options are available.